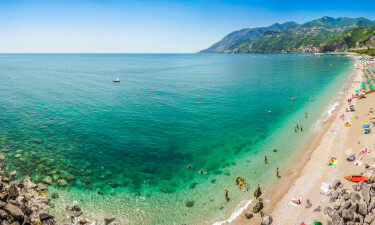 Steeped in history and providing what can only be called some of the most alluring holiday camping sites in the world, Italy offers a host of possibilities for those who wish to take a break from their everyday lives. Please contact Lux-Camp for further details. 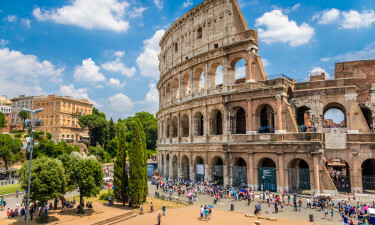 Having been inhabited since prehistoric times, Italy is home to amazing architecture and a rich culture that is unlike any other in the world. These factors are then combined with some of the most stunning natural attractions known to man. From the towering Alps in the north to the cerulean blue waters of the Mediterranean Sea, it is no wonder why so many choose Italy when camping in luxury is required. The Adriatic Coast has some of the purest water in the Mediterranean. With many camping sites close to the beach, families won't have to spend much time getting there and back. Many sites will offer water activities and you can expect to enjoy some of the best fresh fish available. Spend the nights in a luxury tent or comfortable mobile home to round the days off. 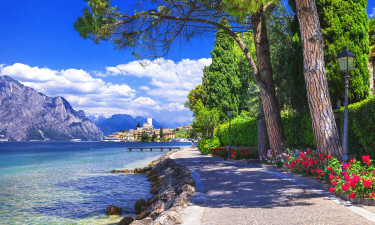 One of Italy's greatest natural treasures, Lake Garda attracts natives and foreigners year on year for some great swimming, food and an all-round fantastic holiday experience. 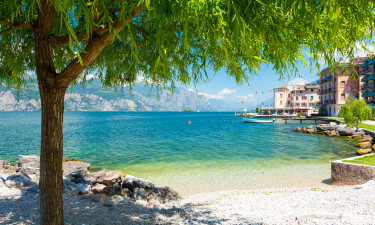 The camp sites at Lake Garda will have a number of accommodation options, such as mobile homes, which will allow for a good night's sleep before heading off into the regions stunning mountains. 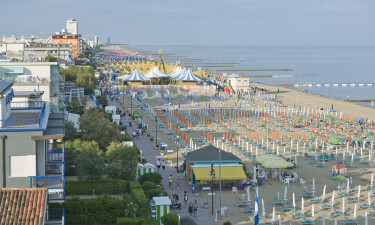 The beaches in Italy have always attracted visitors from abroad. Those in the north are known to be more rugged but at the same time, less tourists will be found here. The southern shores reflect the Mediterranean climate and their pristine sands stretch for endless miles. The waters are likewise very warm. The towering Italian Alps dominate its northern borders and a continental climate can be experienced within this region. These mountains are translated into rolling green hills as one descends south. Many unique species of wildlife can be seen and the southern portion of Italy is famous for its olive oil and wine production. Rome is the most famous attraction due to its history and beauty. However, other areas are worth visiting while on a luxury camping holiday. Notable sights include the cathedral in Florence, Lake Garda, the Vatican Museum and the Leaning Tower of Piza. Natural areas of beauty are seen within the Amalfi Coast, Mount Etna and the famous Boboli Gardens. Italians are famous for offering a wide variety of cuisine. This is predominantly Mediterranean in the south while northern locations boast a distinctively French flavour. Wines such as pinot grigio and merlot also abound. Italians tend to be warm and friendly people. They place an emphasis on family life and a balance of work and play. Italy is host to a variety of climates. The northern sections will experience a great deal of snow in the winter while the "boot" (and Sicily) tend to be quite mild throughout the year. So, a variety of luxury camping conditions can be found. This helps to satisfy very unique needs. Modern humans have inhabited Italy since at least 6,000 BCE. These early Etruscans gave rise to the Romans and after this empire fell, a host of other nationalities entered. 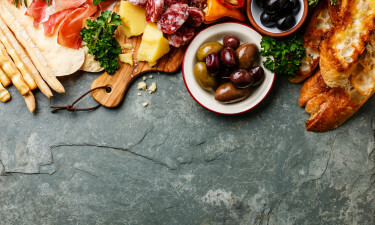 From the Middle Ages to modern times, Italy has experienced a unique blend of different cultures. This is reflected in the language as well as the architecture and even the alphabet itself (which is now one of the most widely written in the world).